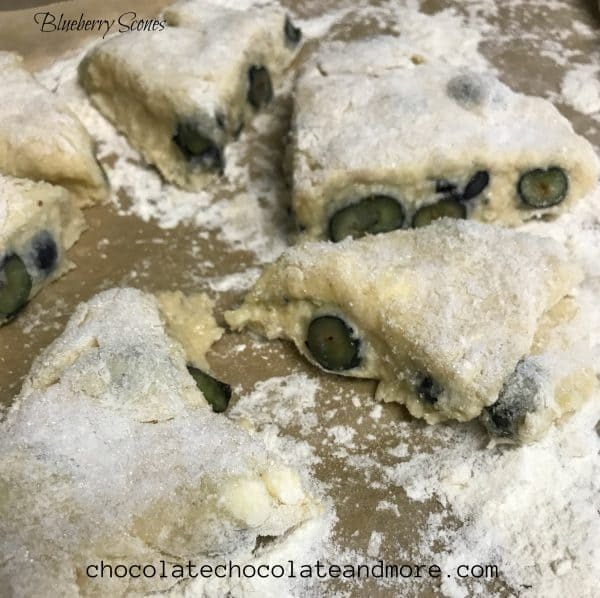 Blueberry Scones - Chocolate Chocolate and More! Blueberry Scones are a tricky treat to make — they should be soft and slightly moist, not dry and crumbly. A few years ago, I got tired of trying to down dry scones from the local coffee shops and took a try and making them myself. I can’t remember where I got the original recipe to work off of, but I was apparently impressed enough with it to share a chocolate chip version with Joan, and she posted it here six years ago when she first started Chocolate, Chocolate and More. (Chocolate Chip Scones). Since I shared that original recipe, I have worked on various ways to change that basic recipe up to include fresh berries without either drying it out or making it too “wet”. The British tend to only make scones with raisins, currants or dates in the “non-savory” category — it is we American’s who like our scones “sweet” with berries and chocolate and spices. 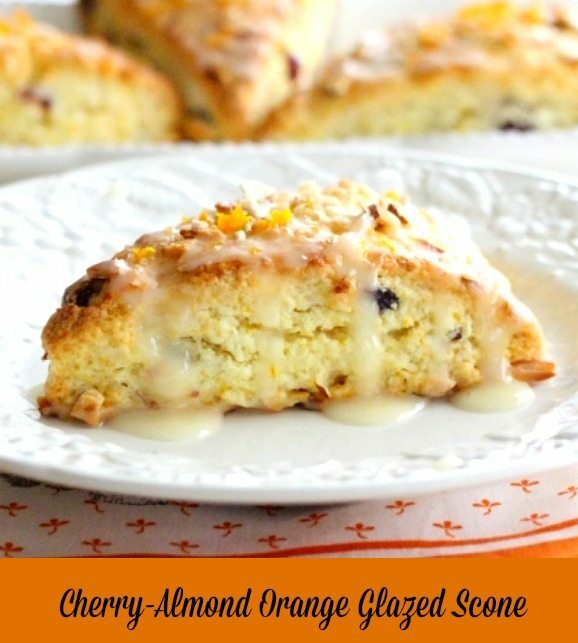 As such, most traditional scone recipes aren’t meant to include additional liquid provided by produce like blueberries or cherries or raspberries. These blueberry scones include eggs, milk instead of heavy cream, and a little more flour to make up for the additional fluid of the berries and eggs. I also added some vanilla, but that is optional, as are the blueberries on top of the scones. For a final touch, you can whip up some of the blueberry syrup I used for the stuffed blueberry pancakes a few weeks ago (Stuffed blueberry french toast) or serve with butter or clotted cream. A berry sweet twist to a British favorite tea or coffee treat. Line a baking sheet with parchment, or use the baking sheet without grease if you don't have parchment paper; add a light dusting of flour to the top. Place the dough (it will be sticky) onto the floured parchment or pan, and divide it in half. Press each half into circle; the circles should be about 3/4" thick. Brush each circle with milk, and sprinkle with granulated white sugar. Carefully pull the wedges away from the center to separate them so they don't merge back together during baking. Top each scone with one or two blueberries . Remove the scones from the fridge and place in the center of the oven to for 20 minutes, or until they're golden brown. Remove the scones from the oven, and cool briefly on the pan. Serve warm with butter or blueberry jam.